Watch: The Nintendo Switch Summer Nindie Showcase - Live! In what's clearly going to be a regular treat, Nintendo of America is bringing us a Nindie Showcase to remind us of all the goodies on the way to the Switch eShop. Expect plenty of release dates, game announcements and a few exclusives. Embedded the final stream, so you can watch at leisure. Right, we'll write all this up, thanks for the company! The fighters get sucked into a games console and must clear six games, sounds pretty darn quirky. Well blimey, that was a lot of stuff wasn't it? Wait, No More Heroes? Surely not. Nine Parchments, we saw this during Gamescom. Light Fingers, procedurally generated boards. Now onto 'Sausage Sports Club'????!!! If you're good, your body will be massive. A big avatar grows, the biggest team avatar wins. We have a 4v4 multiplayer shooter. Morphies change their bodies by stealing mass from enemies. From the heads, butts etc. That guy needs to seriously work on his gait. Next Up Hero, a community driven online action games. A hero falls, and an 'echo' is left behind. Out in early 2018 with all 5 acts and interludes. Will include the debut of the 5th act. 10/10 for arty first impressions. Seriously, I love this kind of thing. We have an awesome feature on Wulverblade live later today. Floor Kids is all about earning respect in breakdance sessions, single and multiplayer, touch or physical controls. First on Switch this Holiday. I'm waiting on the Noticeably F.A.T. reference. Even Baker didn't seem convinced by that one. Four new worlds and 30+ new courses. A 'metric ton' of announcements, eh? Dr. Fetus is not a real doctor, shocked. First up is Meat Boy, huzzah! A new, Nindependant study suggests the presentation has begun. Three minutes, the tension is building before we see lots of Nindie goodness. One of the best words Nintendo's every used, Nindie. Another Knight that can make the eShop that bit more grand? 5 minutes to go, join us and bask in Nindie goodness! I feel like we've all gone off topic. NINDIES. Fun fact: spelling is easy. Avoiding typos is hrad. My beer today is Brewdog Electric India; other beverages are available. Remember everyone, it's 'i' before 'e' except when you're involved in a feisty heist. Or bier for our German friends, seeing as spelling is all the rage. I think I'll get a beer, which should keep things interesting. Nintendo's even livestreaming it on Twitter, how modern of them. Well I don't know about everyone else, but I'm certainly ready for some hot Nindie on Nindie action. Thimbleweed Park, yes! Would love to see release details for that. The video will likely be about 20 minutes, as a guess, it was 18 minutes last time. And yes, I'm still waiting for NoA to launch the stream, they often leave it quite late. Stardew Valley is a decent bet, right? That'll be the end of the Yooka-Laylee hopes then. It's having a bit of a troubled route to Switch. Will we see more of this for Switch today? Pop quiz, what will Damon Baker have on his T-shirt today? Which Nindie game are you most hoping to see, then? I like the look of HUNTDOWN myself. The video above is Nintendo of Europe's recent eShop sizzle reel. I'll throw in Nintendo of America's live stream video once it appears. Hello! So this is the second Nintendo Switch 'Nindies Showcase' this year, so we can expect plenty of games to be shown off. It starts at 10am Pacific / 1pm Eastern - 6pm UK / 7pm CET / 3am Tokyo / 5am AEDT. this has been approved by ogo79. beat em up hack n slash guru. Nice, No More Heroes 3 looks great. Also, was Travis playing Hotline Miami? Well folks, wherever the game you wanted or not is on the way or not. All thats left to do is to wait! @Luffy one of the better metroidvania's out there starring a bug protagonist. Pretty stoked about some of these reveals. Switch is really looking up. I'm gonna log off before i become known as that "dude crying about Hollow Knight". Adios! All that's left to do is to wait! Not planning on getting King Knight campaign on Switch, unless it's not available for free for those who already bought the base game on Wii U. Disappointed by no Hollow Knight. Dragon: Marked for Death looks really solid. I guess I'll be playing Yooka-Laylee after Mario Odyssey on my Switch then. 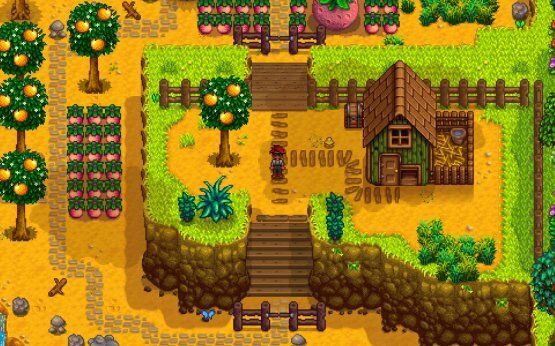 Stardew is being submitted to Nintendo for testing this week. Yooka isn't ready. Constructor still coming in October or so System 3 say. Best part was King Knight! Is No More Heroes: Travis Strikes Again a minigame collection?? Saving some games for the Fall edition, perhaps? So, what 3rd party games were announced? There were some new titles that caught my interest so I think this was a good presentation overall. what happened to constructor for Switch? Games that has been shown months ago don't have release dates or more info but there was a lotta games. Looking forward to King of Cards. Will probably get Golf Story. Will wait for reviews of Mulaka, Apart from that, wasn't very impressed. I liked the golf game! I don't get why people were underwhelmed. It wasn't amazing, but what were you expecting? Not bad. Looking forward to several of those. Underwhelming. 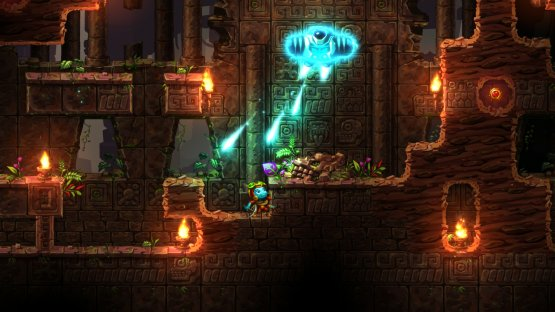 At least we got a date on SteamWorld Dig 2, though. That was really good. An overwhelming number of interesting games. Now I just want some demos, like E3 2015. What happened to that 8 bit fighter? They nearly TOTALLY avoided all the big indies we all want. Very good games and presentation. well overall that was a fairly poor showing. the first indie showcase was better. but no more heroes!!!!!!!!!!!!!! Excellent presentation, with plethora of both new and old indie games. Didn't watch out of protest. Available for download after this presentation.....???? no more heroes was enough for me. Hit and miss but not bad. First is the keyword here. Well that was weird. So instead of being an action game, they just play other retro games? I missed 20 minutes of work for that. No Stardew? Okay, I'm flipped out! well, this was pretty much crap. Shoot me if Shovel Knight is a guest there. no Stardew, no Hotline, no Yooka... Nintendo why? well holy ***. that saved this presentation. Oh, this is that new thing from the TRINE creators. "and of course, lots of lube"
sounded like he said "lots of lub"
Could be good, could be crap. I know! Oh that pun made me groan. Console exclusive means theres also a PC version, thats all. Oh NICE Inti is a very good company! will there be achievemts on this elephant game? pls get the reference. What? Does he not recall Tembo the Badass Elephant??? lol Babar before he became king. okami meets fall out primal? Surprisingly the low poly look works well. Good art direction on their part I guess. Next month? I need to work ot now. That robot is pretty hot. I actually think the first showcase was much better than this one, so far. Still more to come though. Those looked like Iron Giants in the background, cool! Some really interesting - and good - games showcased so far; much more impressive list than I thought would be in it. surprise launch today, come on!!! Spreading the meaty games out. I like that. getting this...but what stops you from just dying in the first level to make an army? Everybody dies, so Fire emblem? Can see this doing pretty well. I'm... way too interested by this description. This is a bit lackluster so far, right? Alright sounds great. Day One! Floor Kids should just be a Da Jammies game. I've been curious about that game. I still need to play KR0. I've had it on Steam for a while. Ah! Cool, I'd been looking forward to this! did that just hurl a car? @killertan98 it never died son. Looks like Golden Axe. I'm game. So hand drawn art is making a comeback? YES. when was that last time KIDS was in the title of anything? 90s, the greatest moment of the universes history. What the [CENSORED] is that!? they're saving all the good games till the end, right? A list would have sufficed nicely. It's like those Mario Golf games that had RPG mode, unlike those new lazier ones. This always looked very cute. DUDE IS THIS GONNA BE LIKE THE ONES ON GB AND GBA? Oooh! It's like the GBA Mario Gold games! Haha, an escape room game about hidden game systems. 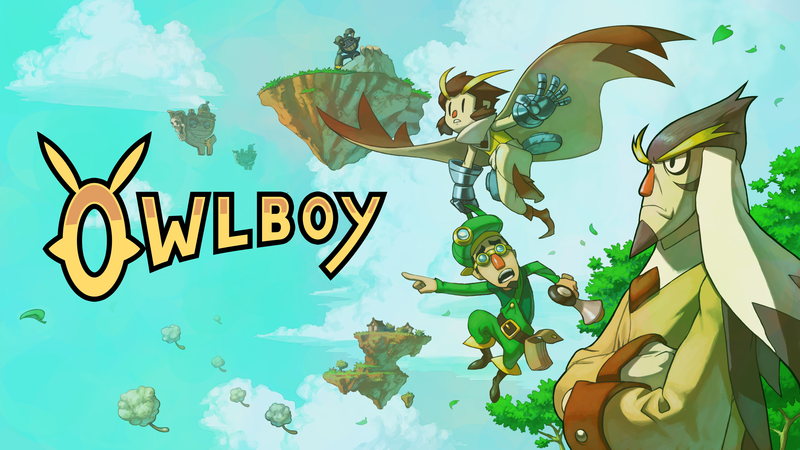 Hopefully also arriving for Wii U backers? If this goes to wiiu ill get it. Metric tonne is my favourite kind of tonne! Oh my god, another expansion?! this guy's a total dork but he's cool. Was that reference related to anything? It isn't? It looks like one. @darkmarkunited I haven't even reached my final form! So what's on his shirt? I'll take him up on that being his final form twenty years from now. or cool this is a sequel? Don't put forever at the end, it will take forever to come out! this was a mobile game wasn't it? Wait a sequel! Thats awesome! Funny, Nugget is't meat, is it? Points for having Dennis Feinstein narrate. Wait a second. Could this be a sequel? that didn't feel like "cartoon violence"
Summer? Barely made it there! I've sacked off the kids - here we GOOOO! There's another word with e before i. Before I get into the topic, I want to say: Thank you, Nintendo, for making one of the best Zelda game in history of gaming. Oh yeah, someone did talk about Undertale being up for unveiling to day. Stardew Valley is by far the biggest one I want to know about today though. Seriously, I'm gonna throw a man-fit if we don't get a release date for Hollow knight. At least wait until the end of the stream!? Oh please no with the F's. LOL Alex don't kill people man. it isn't nice. Alex you killed him you monster! so, anyone got any music or anything yet? This game is so gorgeous but so many other PC games cannibalize its time. Having it on the Switch would let me get much further in Hollow Knight. Might be a boring concept though, "And as the town snoozed, they KILLED!". @Pod uugghh.... your 1337 just made use parts of my brain that haven't been used since AOL instant . ouch. Also, to the devs out there, feel free to use "Bloody Sleep" as a game title. Bethesda's an indie company right? Hollow Knight release date so I can get some bloody sleep. games from Vector Unit !!! @Andrew That wouldn't be a Nindie, but I would absolutely soil myself. A couple of the bosses are annoying, no doubt about it. @ieatdragonz Yeah, like Ever Oasis pulled me to the 3ds and helde hostage. do the barrel roll !! Sonic Mania is the best Sonic game in 26 years. Anyway games! What did people think of Sonic Mania? Y'all all are whack. That is all. No beer for me today, Got some Pepsi Max, but drinking it from a Coke glass because sod the rules! Typos I never mak one! @ThomasBW84 Don't happen to have any Hertog Jan do you? What is the providence of said hip-flask? I bet you're drinking your Brewdog beverage from a hip-flask because you're so damn hip! I'm enjoying watching this grammar disaster way too much right now. Clearly this was the main draw of coming here. I wonder if you can spell it with an X...? Or when you go grab your STEIN full of bier! Well, I still at my work station, so I'll have to make do with a swig of coffee on cues. Is this mini direct just a USA version of that trailer NoE put out yesterday? Thomas gonna head on down to the Biergarten and get his stein filled to the brim. more HYPE than E3 !!!!! Nindie remakes of CDi Zeldas! Drinking game every time the speaker says "fun" take a shot! What was with Mario Fun with Letters? XD Nice quick delete. I like to mix it so that English teacher could give me whatever deductions he wanted I am an independent English speaker and dont need no shame! I'm here because I demand some new stuff for Europe too! I feel like I need to be sipping tea and eating crumpets if I spell it "colour"
γιαούρτι is a strong contender! I think yoghurt is the only one recognized by the dictionary in danish. there are different spellings of yogurt? Wonder when Xenoblade Chronicles 2 will come out. Hopefully not close to Mario Odyssey. In the meantime, let's get down to the important questions; what's everyone's favourite spelling of the word yogurt/yoghurt/yoghourt? Releasing anything close to Odyssey is a mistake. what mistake is that, Grumble? 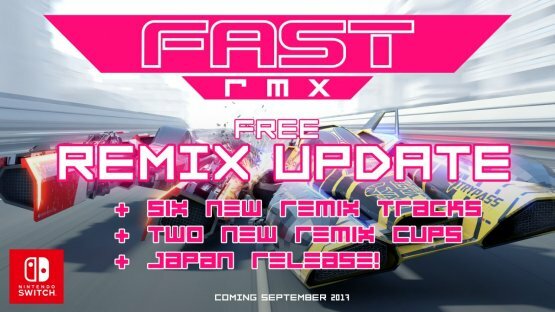 New FAST RMX content is coming in September. So...anouncement today, release on Thursday with the eShop updates? I guess a full reveal of all the new stuff coming to FAST is pretty likely. Hope to see Thimbleweed Park running with gyro cursor aim, but I know that's a stretch. 90s Arcade Racer please Nicalis. About time something happened with that complete game you've had sitting around for months. Maybe they’ll show some of the King Knight campaign? Come on Luigi, Retro ain't really considered part of the nindies. Pretty sure Retro isn't indie. But hit play so it kicks in for you. video's not working for me? So will Nintendo reveal what Retro is working on? I’m assuming that the page refreshed because of the video update, am I right? They can't win whatever they do. People will complain either way. If they don't have a release date to share yet, maybe they didn't want to show the game at all. 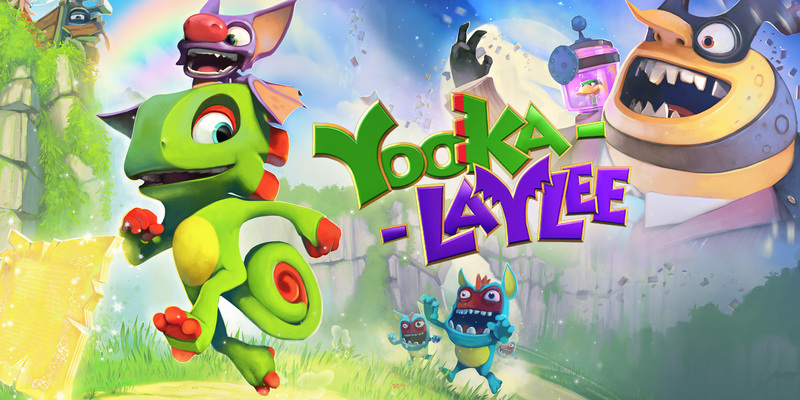 People would be annoyed to see a trailer for Yooka Laylee only for no date be shown. How do you "miss the boat" for a Nindies showcase? TH=hat's kind of important don't you think? I'd reserve judgement on their development skills until we see how well the game runs on switch. Development takes time and effort. I've just about given upon Playtonic. They don't seem to be the amazing devs we thought they were. Yooka Laylee confirmed not to be shown. I am on the lookout for one game and one game only: Stardew Valley. Think they'll announce Meme Run for Switch? So, what're you all hoping to see? Stardew valley. Stardew valley. Stardew valley. Damon Baker was a very good presenter. I hope he presents this one too. Since they let Ubisoft make M+R why not let Atooi make Hotel Mario 2 and announce it in the indie showcase? I/m going to play Mario + Rabbids until this begins. Just got M+R in the mail! Really looking forward to playing it. Was that the only clip of that game shown?